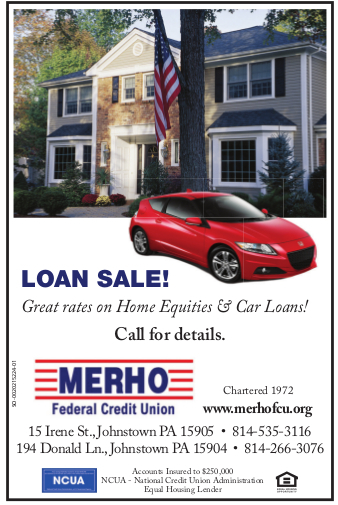 MERHO Federal Credit Union was established in 1972 by employees of the former Mercy Hospital. That is how the name MERHO came to be. Credit unions have been known for taking the name of the employee group they mainly serve. Back in 1983 MERHO combined with the Memorial Hospital Credit Union. Shortly after we welcomed members from Windber hospital, Cambria Residential Services, Laurelwood, Presbyterian Home, Atlantic Broadband and Bishop McCort High School to name a few. MERHO membership is like being welcomed into a large extended family. We now have a membership of plus 6,000 and assets of 45 million. Our main office location is 15 Irene St. and our branch office at 194 Donald Lane in the Credit Union Complex. ***If your employer is not included on this list and you would like to become a member, contact our Director of Membership Development, Tammie Griffith at 814-535-3116 to see if you to are eligible to be welcomed into our credit union family. USA Patriot Act Customer Identification Requirements In accordance with Section 326 of the USA Patriot Act, applicants for new accounts are requested to provide current picture identification that verifies identity including name, address and other identifying information. In some cases, identification will be requested for current account holders if original documentation was not obtained with the opening of the account. In all cases, protection of our customers’ identity and confidentiality is our pledge to you. We proudly support all efforts to protect and maintain the security of our customers and our country.